Lock in a great price for Glen Villa Resort – rated 8.3 by recent guests! 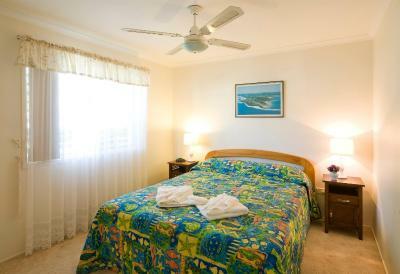 Friendly staff, neat and clean facilities, walking distance from downtown shops, restaurants, bars, and main beach. Leafy location and lovely grounds. Friendly, helpful staff. Easy check-in. It allowed for on site parking (one car). Walking distance to town. When we made a complaint , we were immediately upgraded to a one bed room cottage. Really quiet, comfortable space, great shower. Tiny room, but really, really enjoy staying here. Staff were lovely. Really close to everything, but far enough away. We remember our time here really fondly. The place is basic as we expected. Neat and tidy and exactly what we needed. Good aircon. A short walk to town. 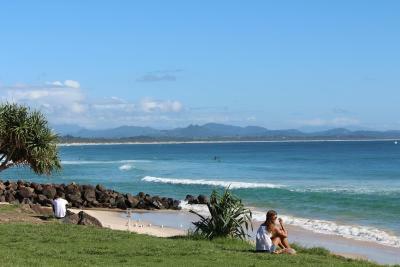 Parking in Byron is full on and there's lots of traffic so walking from here was great. It’s quite easy to get around the city center from this hotel. Parking right in front of your house is convenient to move luggage in and out. 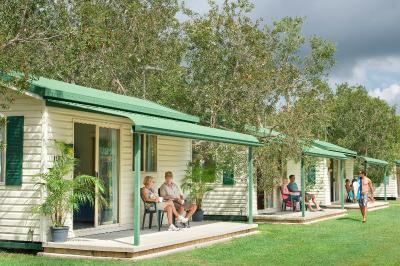 Glen Villa Resort This rating is a reflection of how the property compares to the industry standard when it comes to price, facilities and services available. It's based on a self-evaluation by the property. Use this rating to help choose your stay! 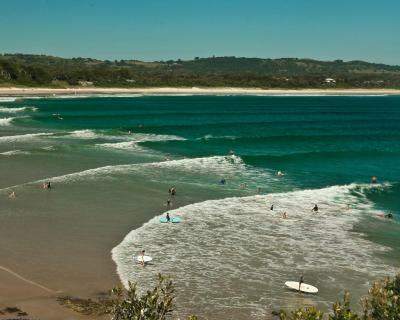 One of our top picks in Byron Bay.Glen Villa Resort is located in Byron Bay, just a 2-minute walk from the center of town. 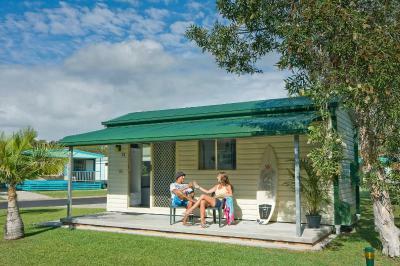 It offers fully self-contained cabins with private bathrooms and kitchenettes. 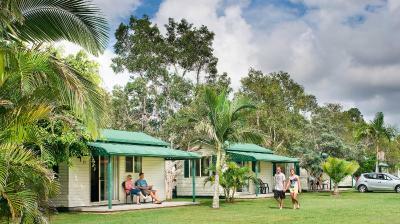 All cabins of Glen Villa Resort are equipped with air conditioning and TVs. Guests can also choose a luxurious spa cabin, and unwind in their own private spa bathtub. Guests can cool off in the outdoor swimming pool, or relax in the spa. 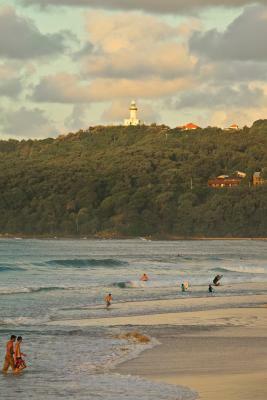 Central Byron Bay with its many restaurants, cafes and shops is just a short stroll away. 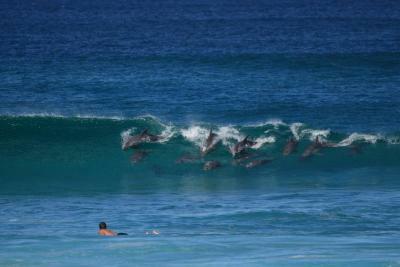 It is only a 5-minute walk to the main beach. When would you like to stay at Glen Villa Resort? This air-conditioned cabin is self-contained and offers a TV, cooking facilities, linen and towels. It also has a patio and a grassed area. This air-conditioned cabin features a private spa bath. 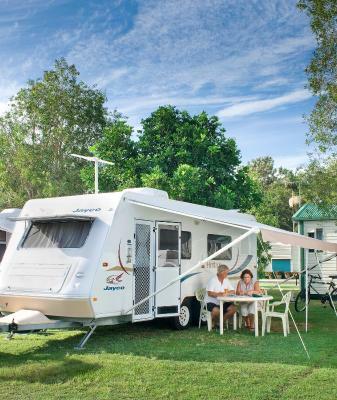 It is self-contained and offers a TV, cooking facilities, linen and towels. It also has a patio and a grassed area. 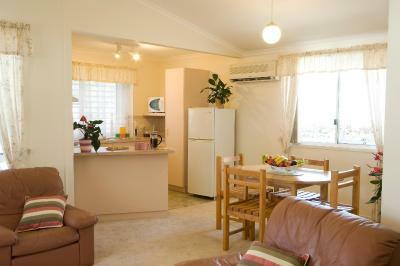 This air-conditioned studio is self-contained and has a TV, cooking facilities, sheets and towels. It also has a patio and a grassed area. 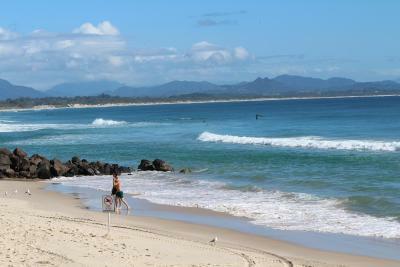 Glen Villa Resort is a unique property in the Byron Bay area as we market more towards couples, groups of two or smaller groups in our cottages. 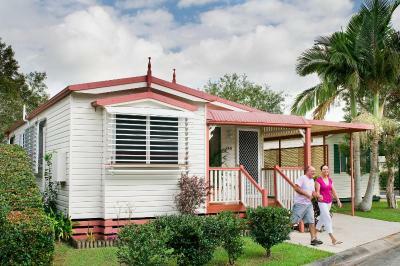 We have created a fantastic property that is quite and relaxing. 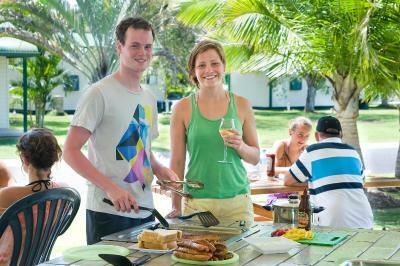 House Rules Glen Villa Resort takes special requests – add in the next step! Glen Villa Resort accepts these cards and reserves the right to temporarily hold an amount prior to arrival. Please note that a child or infant of any age is considered to be 1 guest. Please contact the property 24 hours in advance to arrange key collection, using the contact details found on the booking confirmation. Please inform Glen Villa Resort of your expected arrival time in advance. You can use the Special Requests box when booking, or contact the property directly using the contact details in your confirmation. It is a bit pricey for what you get. 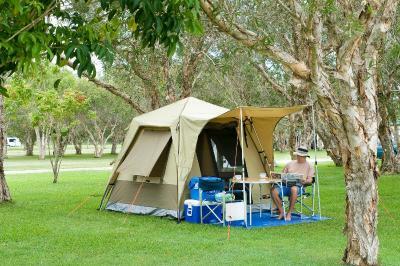 It can be very expensive to travel and stay at a caravan park in cabins for the price that you have to pay in school holidays. Great location and the staff were really good with some minor issues that we had. We were kindly upgraded which we appreciated to a larger unit. The bed was very uncomfortable. The tv was very small. It advertised it was on the beach not the case. 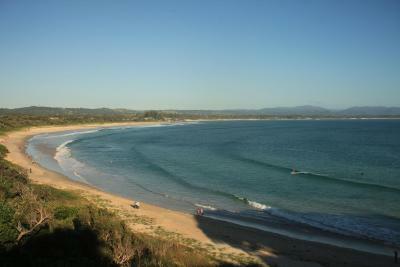 Great location for budget friendly accommodation in Byron Bay town. 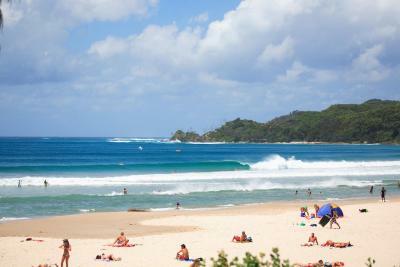 If you want an excellent rating then a small bus or other vehicle to provide transport for guests who didnt bring a vehicle to visit the other surfing beaches like Wategos etc that are too far on foot whilst carrying a surfboard. This would get you an excellent from me. 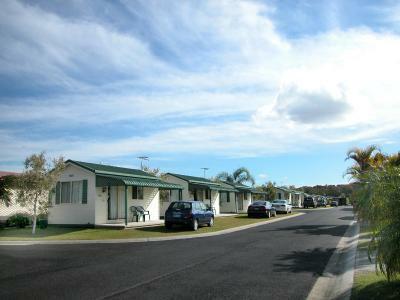 Accommodation was very clean, well maintained. The park was quiet and well run. The location is good, far enough from the centre of town to be out of the rat race but close enough for a very short walk. Poor levels of equipment. No hairdryer. One sauce pan no sieve etc. I loved this resort, it’s really old school but well kept and very clean, the staff are really friendly, they let us in really early and were just very approachable! It’s a real short walk to the high street / bars and restaurants, definitely recommend!